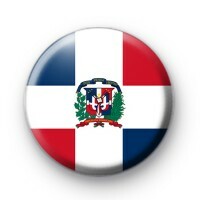 This is a listing for a Dominican Republic Flag pin badge. All our badges are the popular 1 inch size. Have you visited this beautiful Caribbean Island or are you lucky enough to call this paradise home?